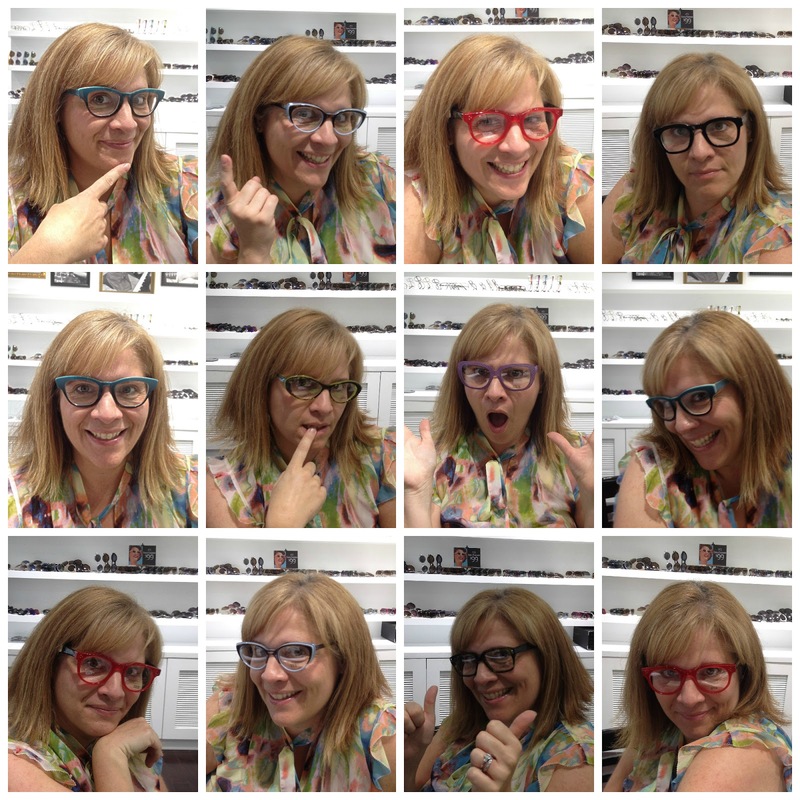 Where did I find my eyewear mojo...? 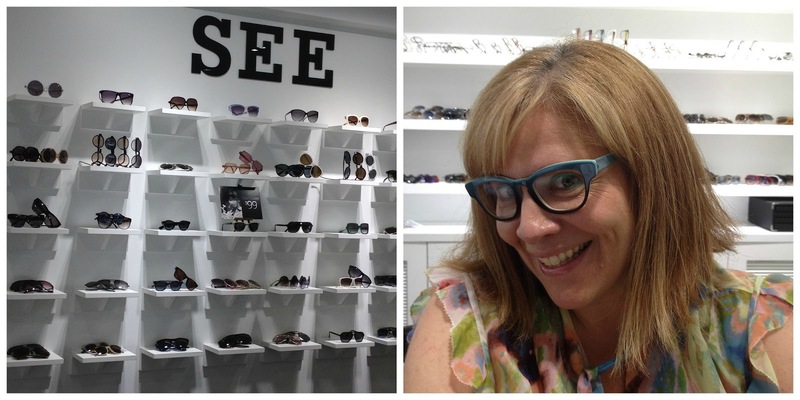 Well, It all started at Super Saturday in the Hamptons...I came across SEE eyewear....HIP frames that make a statement. If you are wearing SEE eyewear, then you know it is special. Cool lines, unique shapes and stunning colors...all at affordable prices. 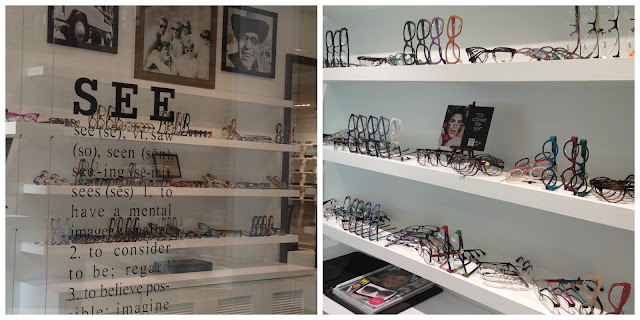 They had great deals at Super Saturday...so I snapped up my frames and proceeded to have the prescription filled at their Soho location! 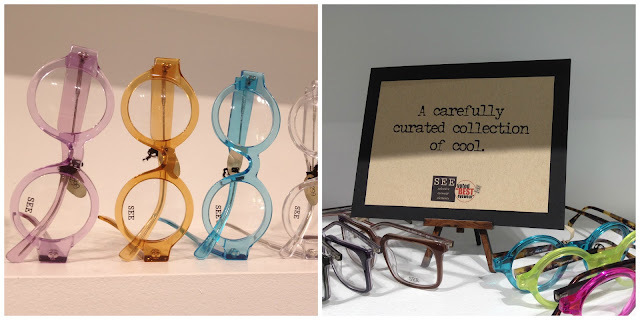 In Soho, I learned that SEE handpicks the most innovative frame makers from around the world and curates only a few pairs of each unique style. The founder goes all over... Belgium, Austria, Spain and Germany. 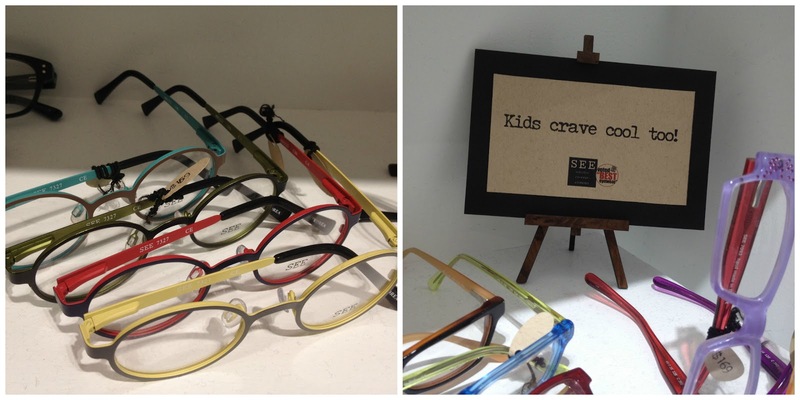 Frames are original for you...How special is that, mass production is not a part of their vocabulary! Going to the store is a nice experience as well. 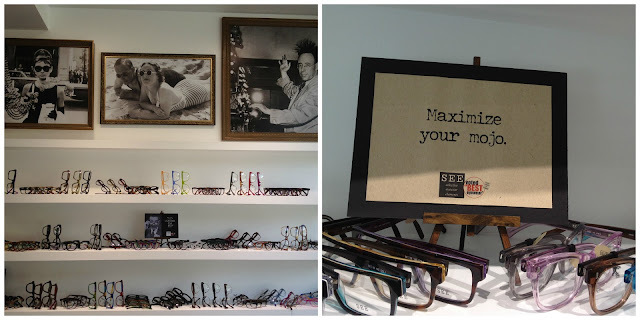 The interior of the store is bright and chic too with whimsical pictures and messages abound, kinda like a museum for glasses. All the walls are white and the frames become the ART! Adam, the manager/owner of the store told me that I am the first in NYC to wear my frame style... take a peek. What do you think? Is it MoD? All types of readers, glasses, sunglasses, they got it! Let get some ART on.... I had to play a bit while I was there! I have to add that the staff is uber friendly and helpful and put up with me!! 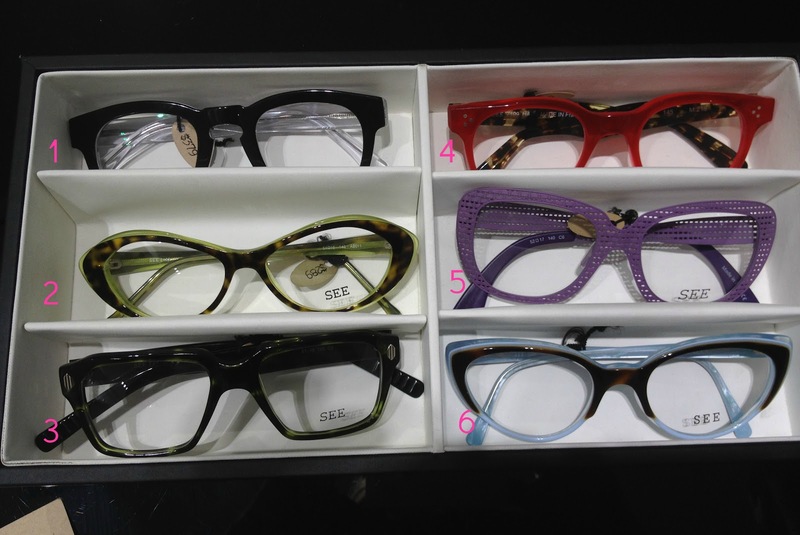 Eyewear has really become a hot trend and a fun accessory to have. Pair glasses with a different outfit..why not! And SEE's prices are not ridiculous and they keep to their motto, " Hip without the Rip."